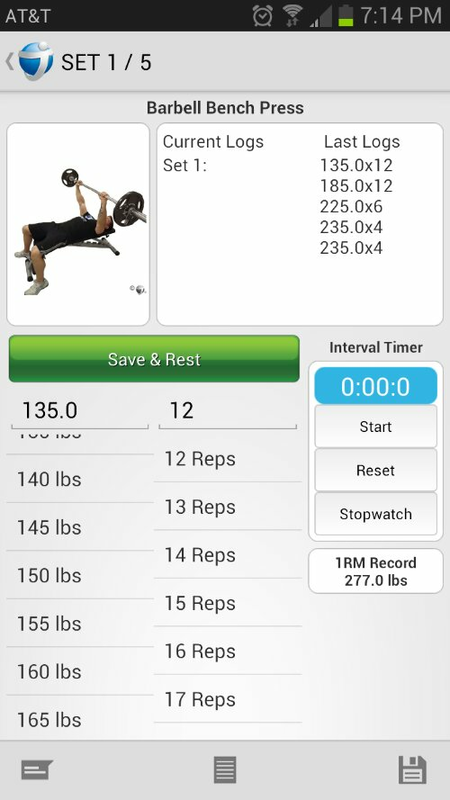 Back in October of 2012 I found myself searching for an app to record my workouts and any strength progession I made. 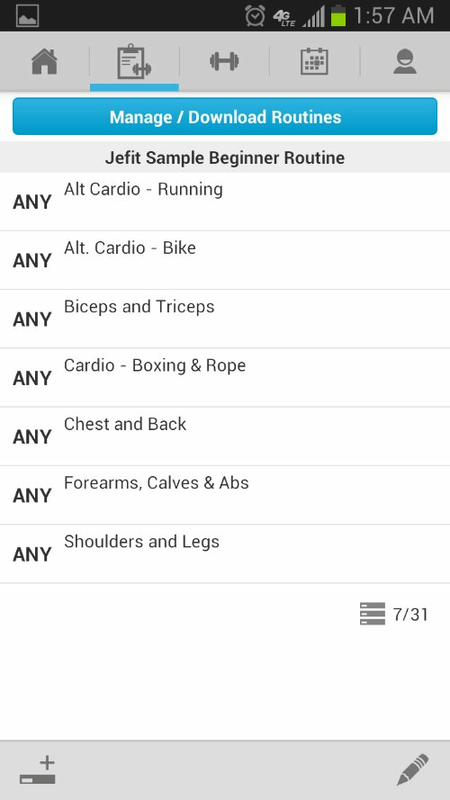 There were tons of options in the Google Play Store, the one that captured my eye was called Jefit. The makers of this app had both an ad based freeware version and the Pro version. The Pro offered more features such as no advertising, more customizations for workouts and a few other bells and whistles for only $4.99. Definitely not a bad deal when you consider other programs on the market going for much more. However being broke, I went cheap and acquired the free version. The ads were annoying, but not overly so, however the interface and overall functionality certainly seemed to make up for it. There were some issues regarding cardio training setup such as boxing or heavy bag work. Primarily with the setting up of rounds and rest periods. These minor issues were cleared up with a number of updates in the following months and within a few days I made the decision to purchase the Pro version and really try out the program in full. The first thing on the latest updated version (March 2013), is the much cleaner interface. After opening the app, you are presented with some basic options. 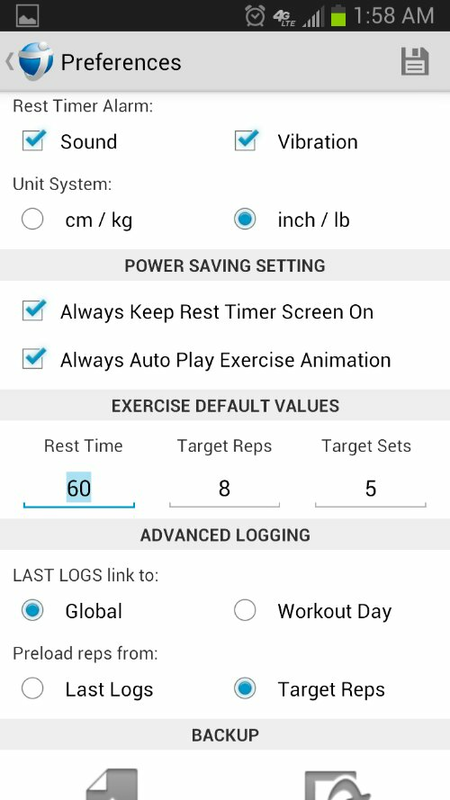 Routines, Exercises, Logs, Stats, Preferences and Sync. The Preferences are easily setup and include the basics from your personal info and stats to what units and measurements you want used. Routines, obviously involves setting up your personal workout plan. Movements, Sets, Reps etc… Jefit also offers for free hundreds of different workout plans, both of their own design and those submitted by program users. Tons of stuff to work with regardless of what your fitness program is oriented towards. Every bodypart is given a large list of premade movements with animated photos of how the exercise is performed. When you encounter an issue such as a movement or technique that is not listed in the library, you can create your own. At this time there are no options to add in your own picture, icon or animation to your custom exercise however. The logs portion of the app is pretty self explanatory. 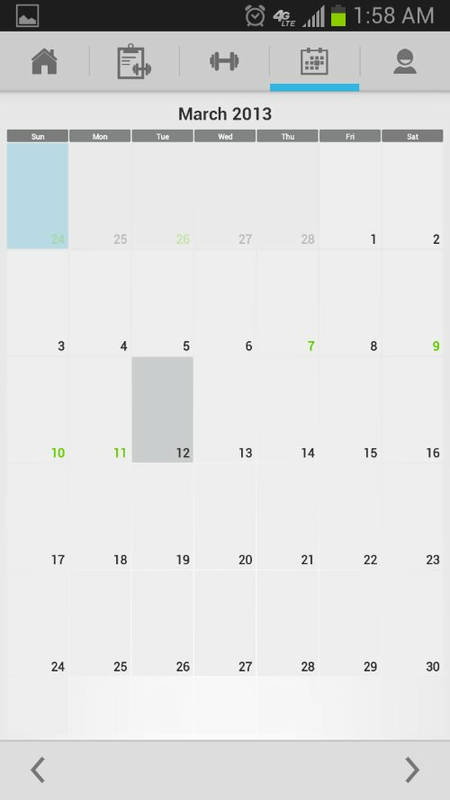 It contains monthly calendars highlighting the days you have completed your training sessions. Stats contains, well your stats. Again pretty self explanatory. Your 1RM on key exercises and your body height, weight, bodyfat % as well as various body measurements. 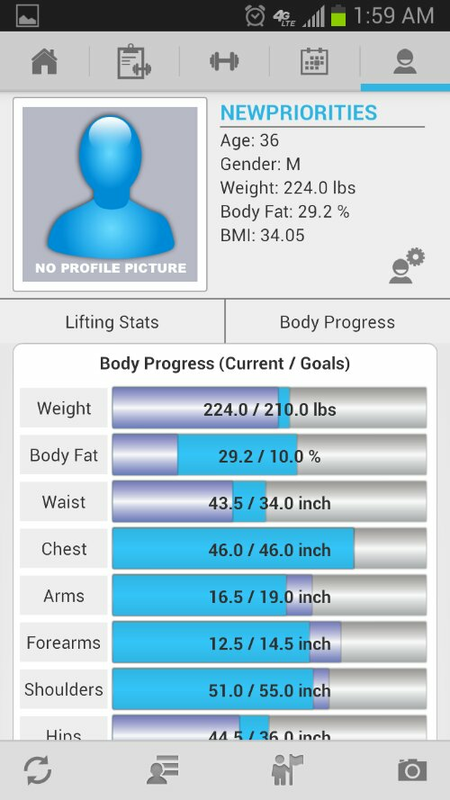 When you create a profile on the Jefit website you can set your body goals and the app will show where you are and what changes are needed to meet your goals. 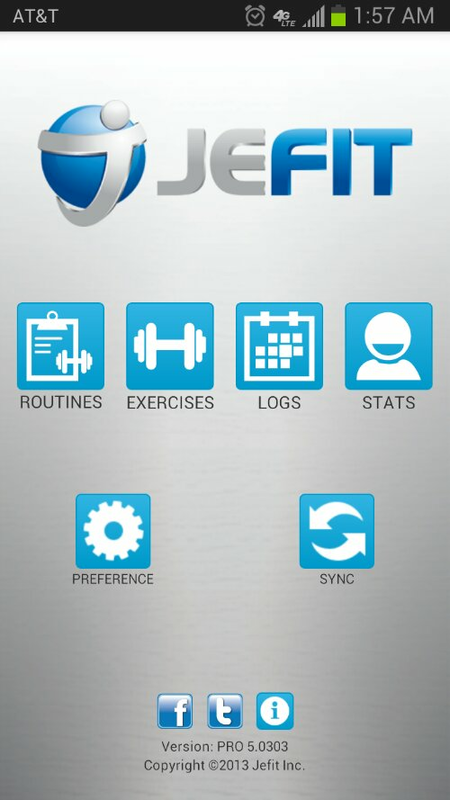 It only took a couple of days for me to make the decision to purchase the Pro version of Jefit. This in my opinion is one of the most effective and easy to use exercise programs I’ve ever used. The rest countdown timer automatically dials down the volume of your music, such as Pandora, to play a tone indicating the beginning of your next set. The on the fly calculation of your 1 RM as you complete each set is a great addon that really helps to motivate me to try harder on each set. Also, not having to keep a notebook and keep records or calculate my progress while I’m working out is a huge benefit. The app could certainly use more Cardio exercises in its database and round keeping functions for say boxing or heavy bag exercises. Since I’ve purchased the app they have completely revamped the interface, the exercise database and animations as well as added tons of new routines and bug fixes. 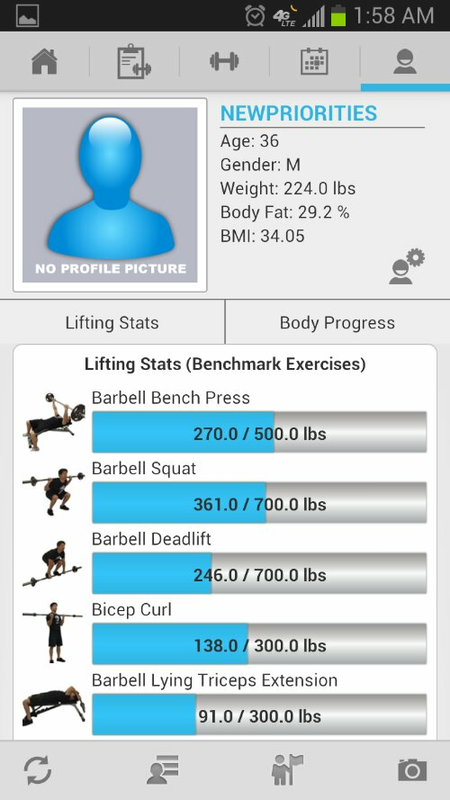 It has a few flaws but all in all Jefit is a fantastic application for your phone that I highly recommend to anyone who wants to keep track of their training and progress. In case your wondering what I received for writing this review, the answer is nothing. Yep, had to pay the whole $5 myself. 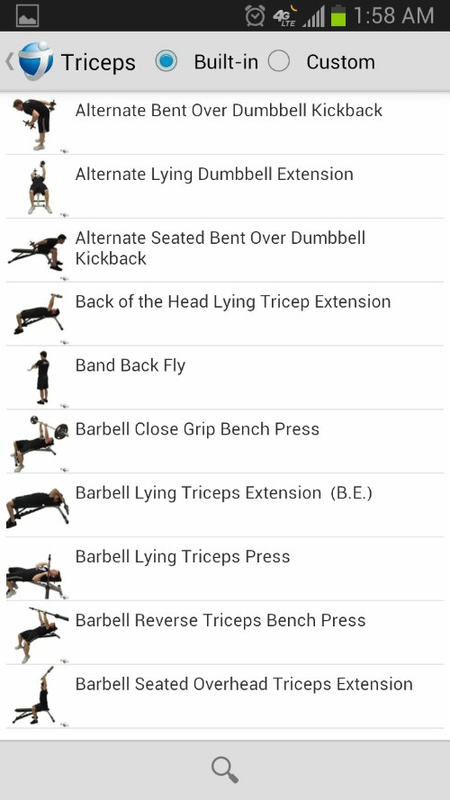 This entry was posted in Blog and tagged jefit pro review exercise app droid iphone fitness training health bodybuilding cardio pain sacrifice Google play store by painandsacrifice. Bookmark the permalink.